Wit’s End and The Duke were our first breeding pair. We later acquired 4 more cows from Bill Johnson at Trail’ s End Ranch. Dexters are a hardy Irish breed that tolerate heat and cold well. Their dispositions are gentle, but they are not pets. You will not find being rubbed by their horns to be much fun. We do not use antibiotics, except in the case of birthing complications or serious injury. 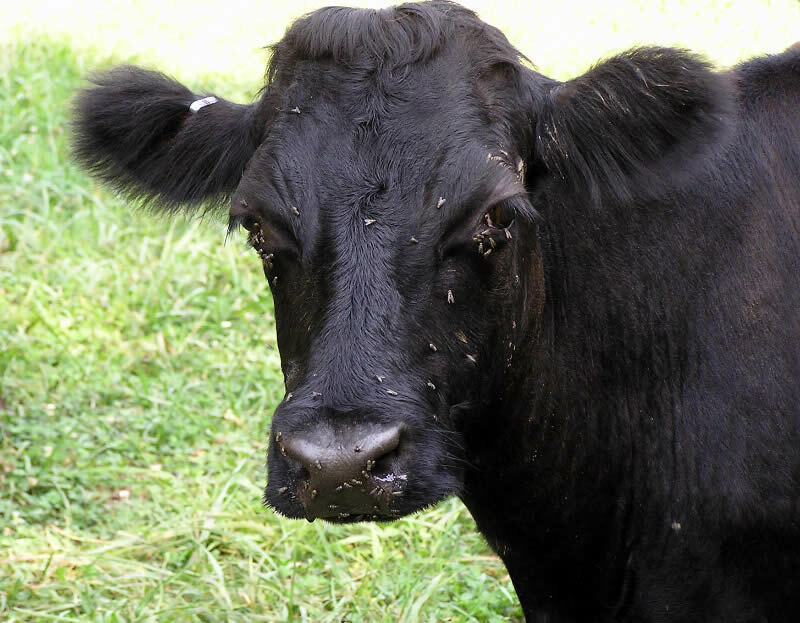 We use diatomaceous earth, rotational grazing and other homeopathic remedies for preventative worming, even though we don’t really have a worm problem. Yes, this is the farm you saw featured in AcresUSA. We encourage all potential Dexter owners to become familiar with the issues surrounding Chondrodysplasia, commonly referred to as “bulldog calves”, PHA or PHA (Pulmonary Hypoplasia with Anasarca) Fact Sheet. You can read our view and find similar information at the ADCA. 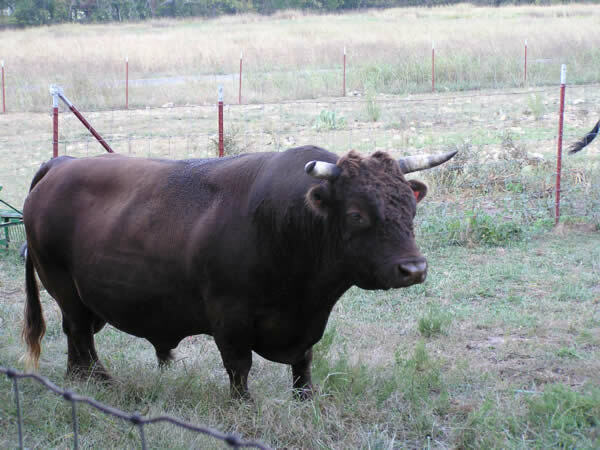 Valentino is a good example of a short-legged bull. 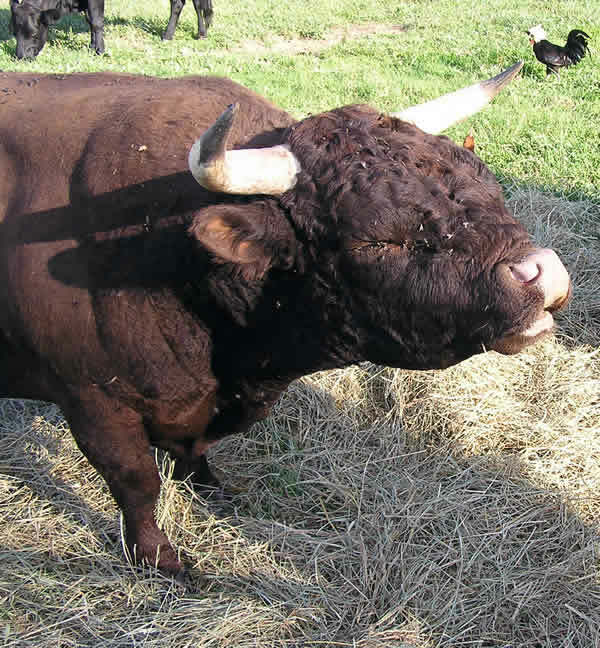 Valentino was the main herd sire until he broke a claw. (That’s a toe for people who don’t spend $350.00 to have a Vet look at it.) He was unable to recover from the injury and wound up in the freezer. He was an excellent example of a “short-legged” Dexter. Carrying multiple bulls is not without risk. We lost Earl of Duke and Hamish due to bull fighting. 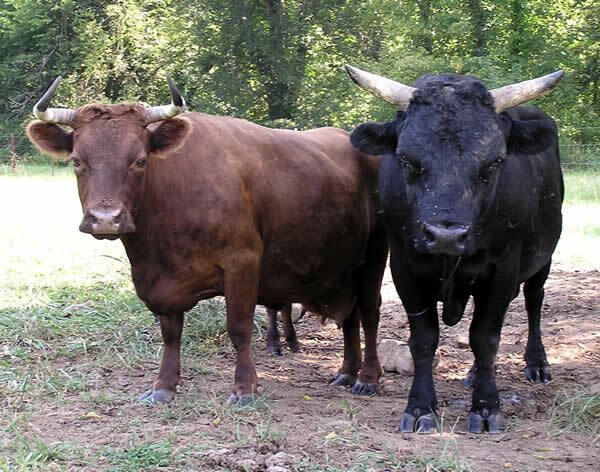 Ironically, all the bulls seemed to get along for several years. It’s difficult to know who killed whom because all the bulls generally challenge each other at different points in their lives. It seems that the bulls who died had finally reached an age where they could challenge either Duke or Wuzzant and were, therefore, real threats. Our plan going forward is to only keep one black and one red bull. Lady Murine is the grandmother of the whole herd. She is 19 years old, born 05/14/1999, and still making babies. If you read my blog post, “Tackled by a Cow Pie”, Lady Murine is the antagonist. “Wuzzant Me” strongly resembles Valentino. His dame is Wit’s End. 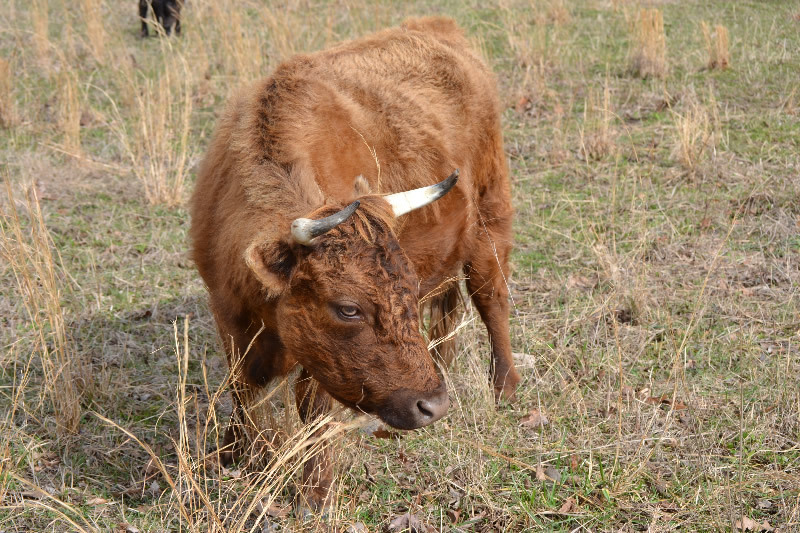 His color vacillates from Dun to Red, although technically he is listed as a Dun colored bull. The “grimace” that you see pictured is actually a curling of the upper lip called “Flehmen sniff.” You will often see this behavior when bulls are trying to detect the hormone level of a cow’s urine to see whether she is ready for breeding. He may even put his nose in the urine stream. Try explaining that one to the kids. Most Dexter breeders really hate to part with their heifers. We are no exception. Still, if we don’t let a few go, there won’t be any more Dexter breeders out there and we want to see the population of this marvelous cow increase. 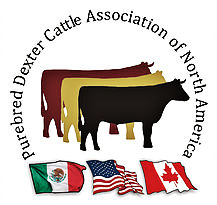 Our Dexters are eligible dual registration via American Dexter Cattle Association and Purebred Dexter Cattle Association. Trail’s End’s Bitsy Babe was born in 2006. Bitsy’s baby, Cassidy, was born 11/10/07. We call her “girlfriend” because she is my best tempered milking cow, she is NOT for sale. Bitsy can be milked, but you will probably need to convince her it’s a good idea. She has had good deliveries in 2008, 2009, 2010, 2011, 2012,2013,2015,2016,2017. Long Tall Sally is Cassidy’s baby. She has had two bulls and a couple of heifers. Long Tall Sally, seen here chewing the cud, is Cassidy’s baby. 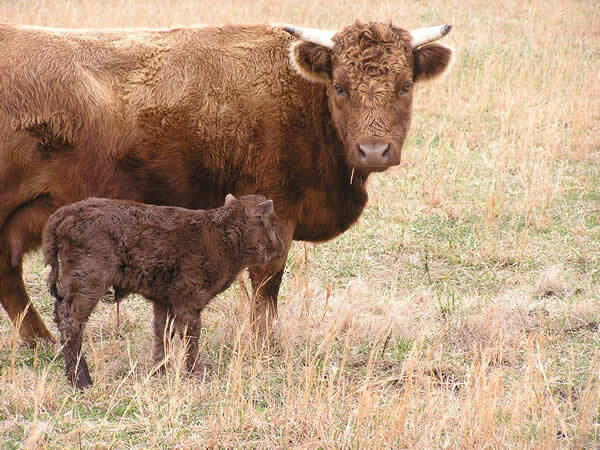 She has had two bulls so far and is due again this spring. Betty is Lady Murine’s daughter. 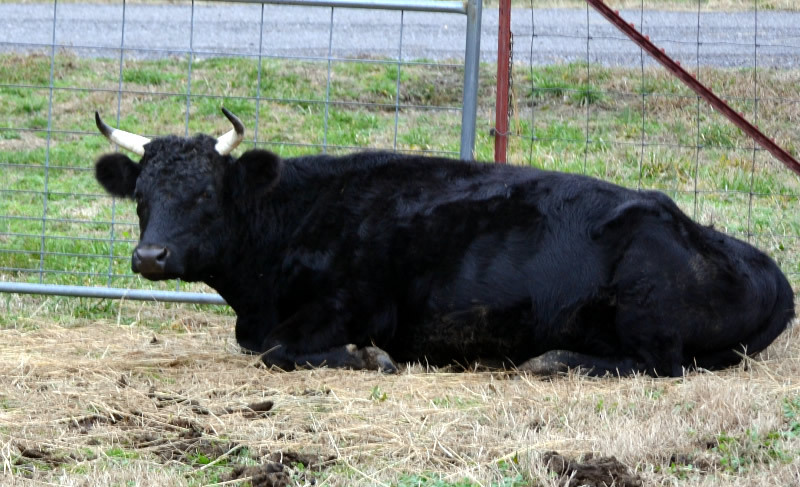 We named her Old Black Betty and her heifer calf… Bama Lam. They older than this picture and both have new offspring. She’s the daughter of “Wits End” and smaller than her mother, so we called her “Wit-Less.” But she’s a great mom.